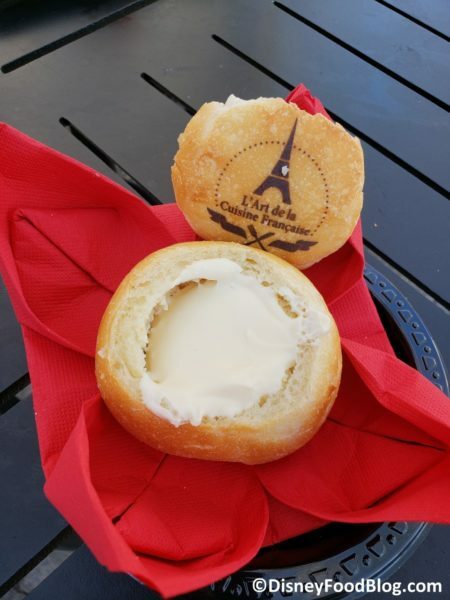 We found a top booth winner at L’Art du Cuisine Francaise – France! This was the only booth from the festival that garnered a thumbs up for every menu item from our taste testers! 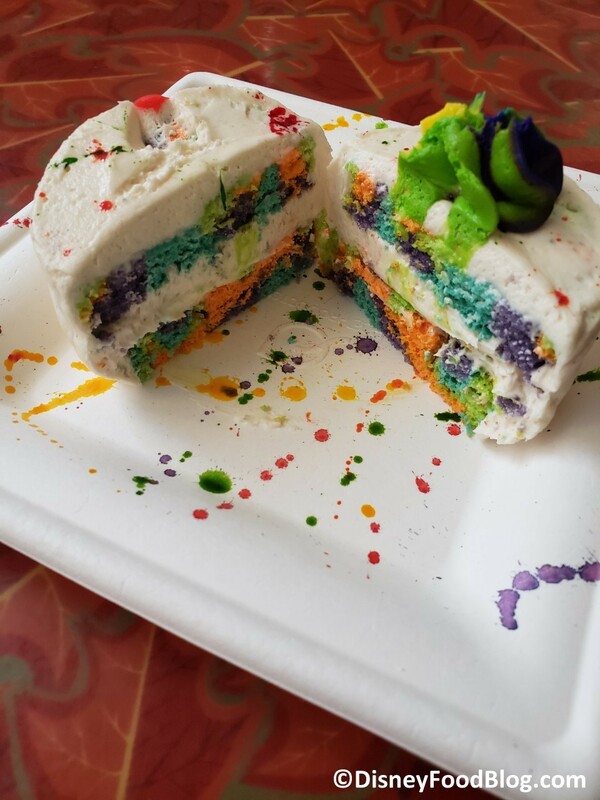 The presentation of this dish is adorable. And we were wowed by the delicious flavor as well! 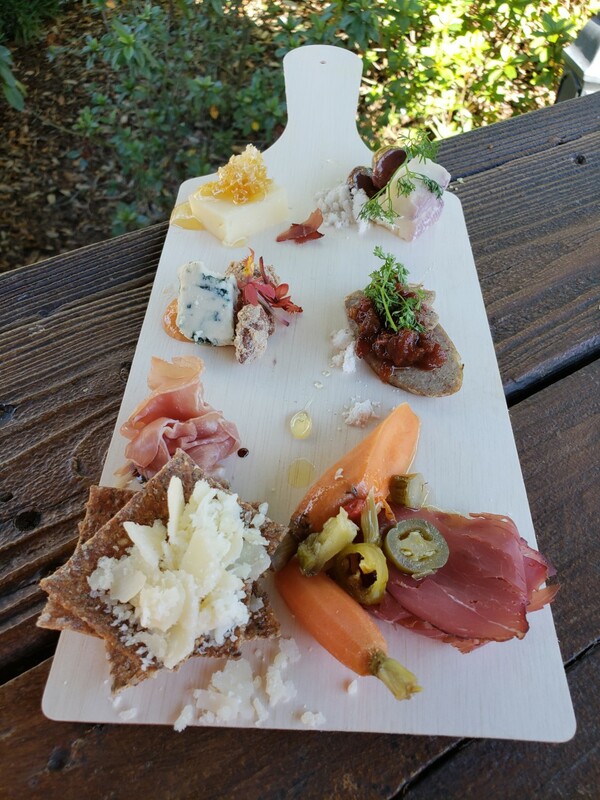 We always love a Charcuterie board and we found this palette featuring Nueske’s Applewood Smoked Beef at The Masterpiece Kitchen. While the palette lacked crackers or bread, which made it awkward to eat, the items presented were still delicious. 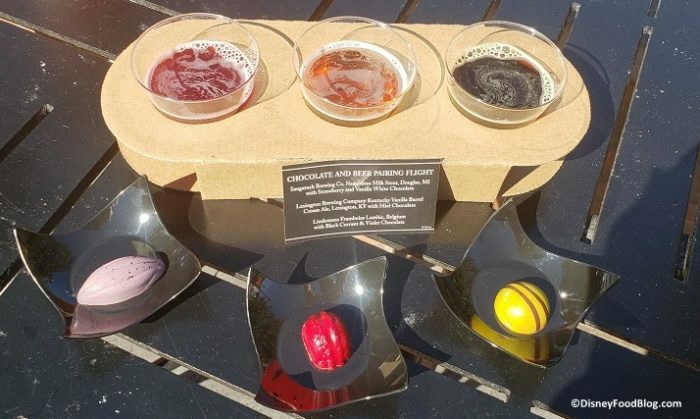 The Artist’s Table features a pairing of beer with chocolate! The Framboise beer and chocolates were surprisingly good. Thick. Decadent. Basically, take three chocolate bars — White, Milk, and Dark — and melt them down. Then drink them. Yeah — it’s like that. At Cuisine Classique, we sampled the A Play on Rosé Flight. It was the Frosé itself that was the real stand-out! The other flight offerings were a bit pedestrian. The Slow-braised Pork marinated in Ancho Chili Paste is served on Fried Corn Dough with Black Beans, Queso Oaxaca, Crema Mexicana, and Salsa Verde at El Artista Hambriento (The Hungry Artist). Crispy on the outside and soft on the inside, the fried corn dough here was really good! 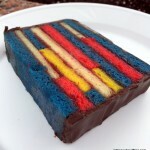 Guess what’s back at Masterpiece Kitchen? 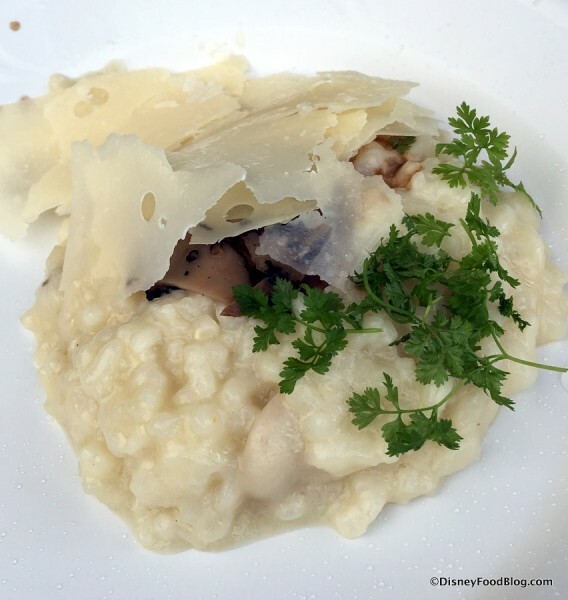 The Wild Mushroom Risotto with Aged Parmesan, Truffle Shavings, and Zinfandel Reduction! This has been on the Best of the Fest list for a couple of years now. A vegetarian classic that’s SO rich and delicious…a little goes a long way. 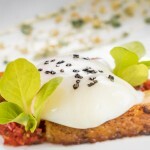 Roasted Candied Beet Salad with Goat Cheese Fritters were served at L’Arte di Mangiare — Italy. The salad part of this dish was fine but the Goat Cheese Fritters were amazing! 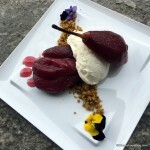 Taste Track keeps surprising us! 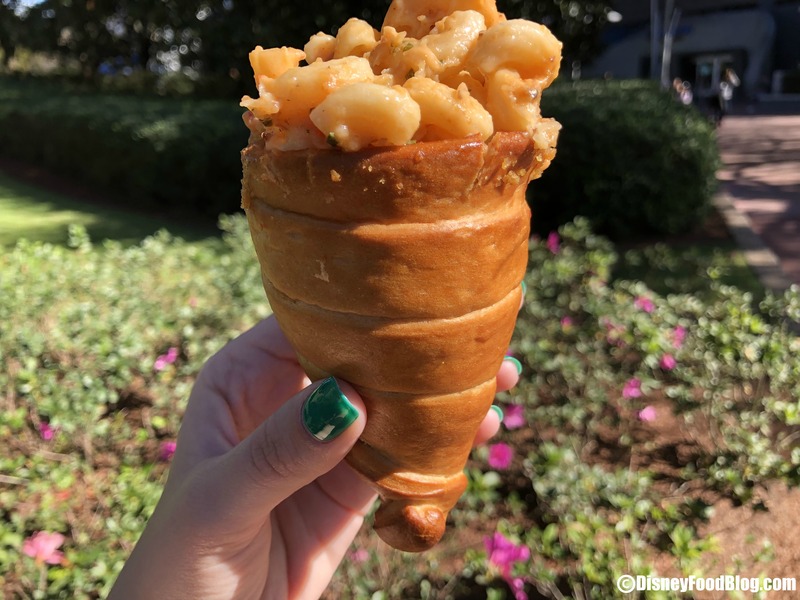 Although we preferred the cheeseburger handwich offered at the Epcot Food and Wine Festival two years ago, this Lobster Mac and Cheese cone was quite tasty. It’s Lobster Mac and Cheese. What could possibly go wrong? Beautifully presented, the Spicy Sautéed Shrimp with Spinach Noodles are served at The Painted Panda — China. This dish was a little bit spicy and the shrimp was awesome with a super light “tempura” style batter. The noodles had a spicy rub that made them a star in the dish. What’s a Sushi Donut, you ask? 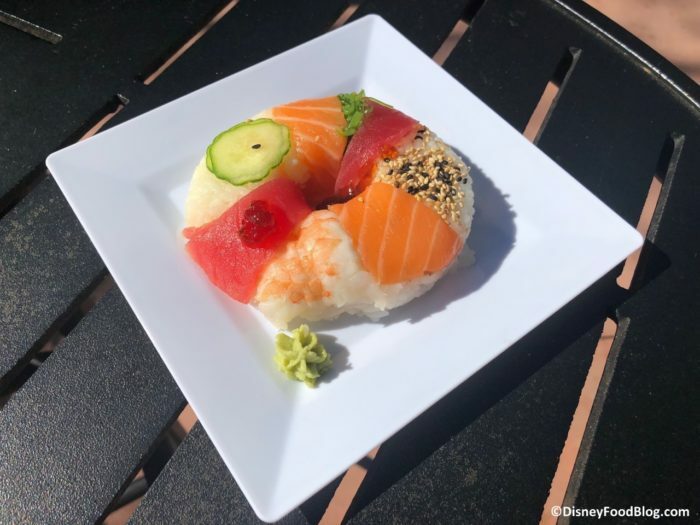 Well of course it’s donut-shaped Sushi featuring Salmon, Tuna, Shrimp, Avocado and Masago accented with Citrus-soy Gelée and Wasabi on the side at Takumi Table. While the citrus soy gelee tasted smokey, it was interesting and delicious — definitely unexpected, but added a lot to the dish.. We really liked the variety of salmon, shrimp, and tuna. 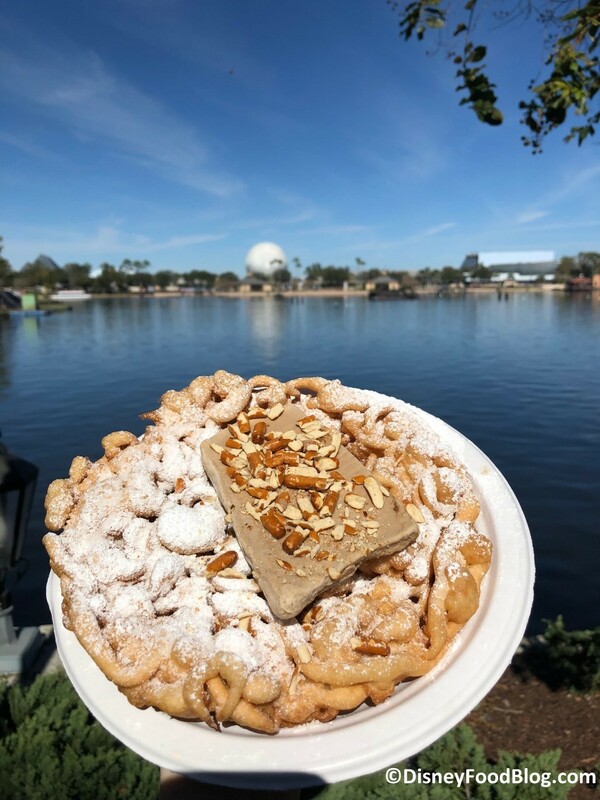 Salted Caramel Funnel Cake at the Funnel Cakes kiosk in American Adventure. The salted caramel ice cream was the winner here. While there’s not TOO much unique happening on this funnel cake, we still couldn’t stop eating it. More than meets the eye? Decadent Delights featured two of our favorites. First up, the Lemon and Blood Orange Tart! With great flavors and good texture, this very tart/sour delight should be on your must try list. 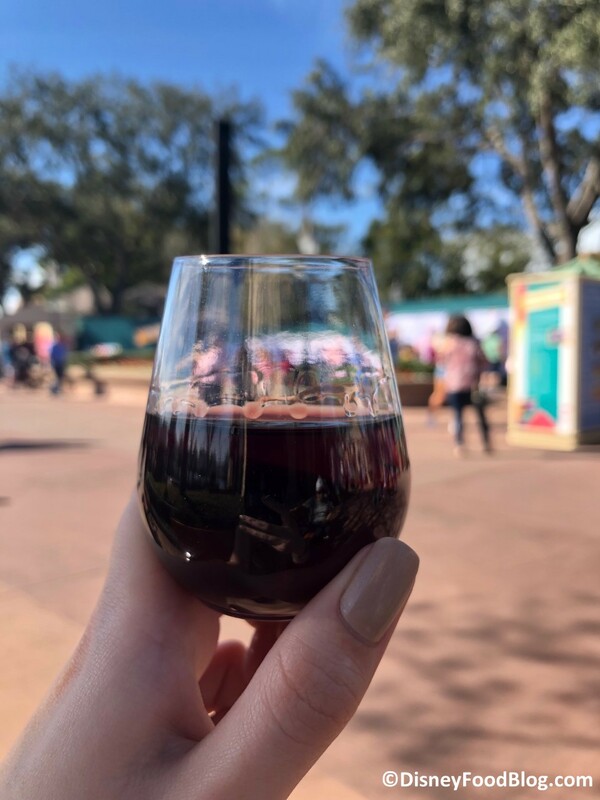 Another winner at Decadent Delights, we think you should pair your tart with the Florida Orange Groves Winery Black and Blue Port! With a strong, tart raspberry flavor it had a lot of body and was an unexpected favorite of the taste-testers! 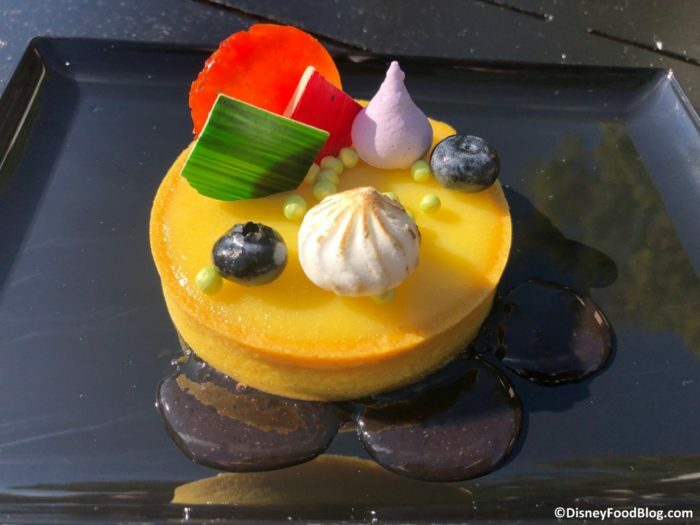 At Sunshine Seasons, the seasonal dessert features yellow cake with peanut butter buttercream filling. This uses the same buttercream that we found on the flower pot cupcake and the snowman cupcake from this past holiday season — lightly peanut butter flavored and truly delicious! 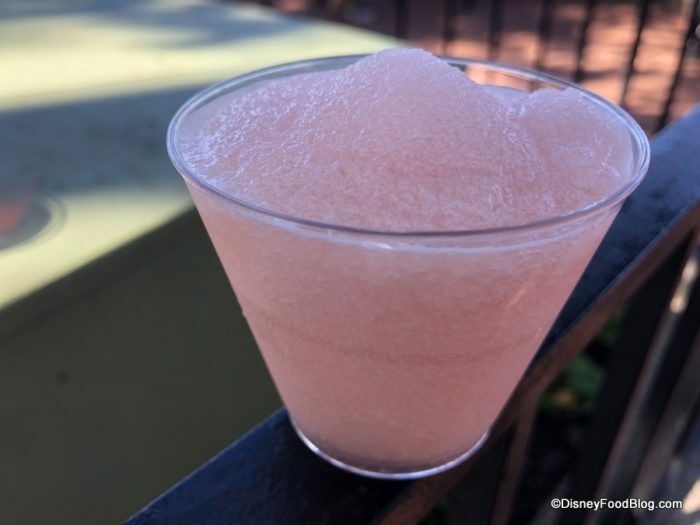 A gorgeous concoction that was one of our favorites…even though it wasn’t on the menu at any booth! Cinnamon Sugar Churros Dipped in Colorful White Chocolate are fun for all ages (especially kids!) at Taste Track. 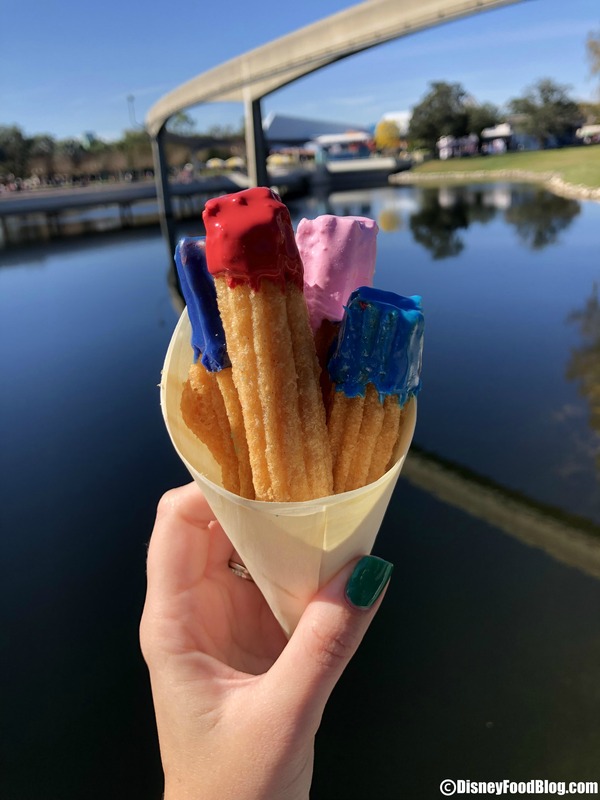 We love these dressed up churros. 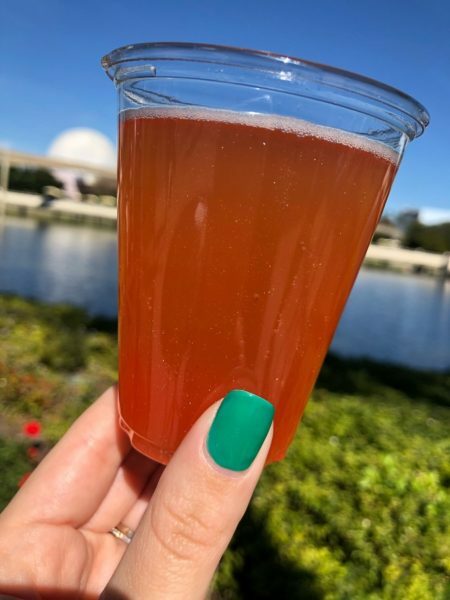 #RainbowSherbertGlitterDreamAle by Playalinda Brewing Co. wins for Instragram photos. You’ll find it at Pop Eats. While we weren’t huge fans of the taste, this beverage is definitely insta-worthy. 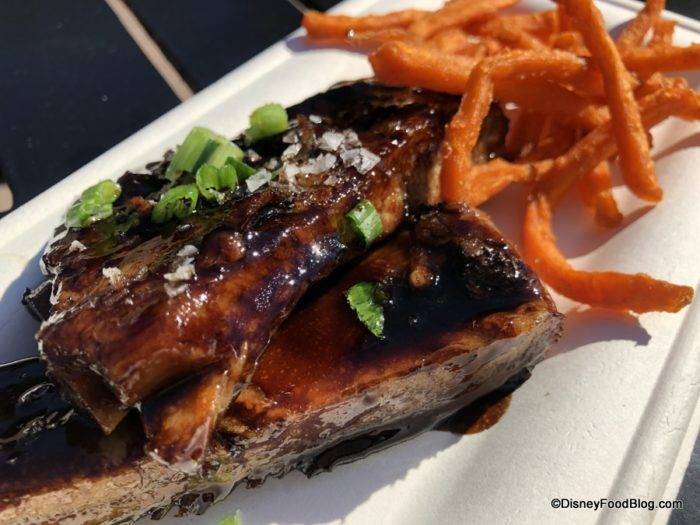 At L’Arte di Mangiare, the Sweet & Sour Balsamic-glazed Pork Ribs certainly had potential. The glaze was awesome though the ribs could have been better. Maybe they’ll be running on all cylinders when you visit! 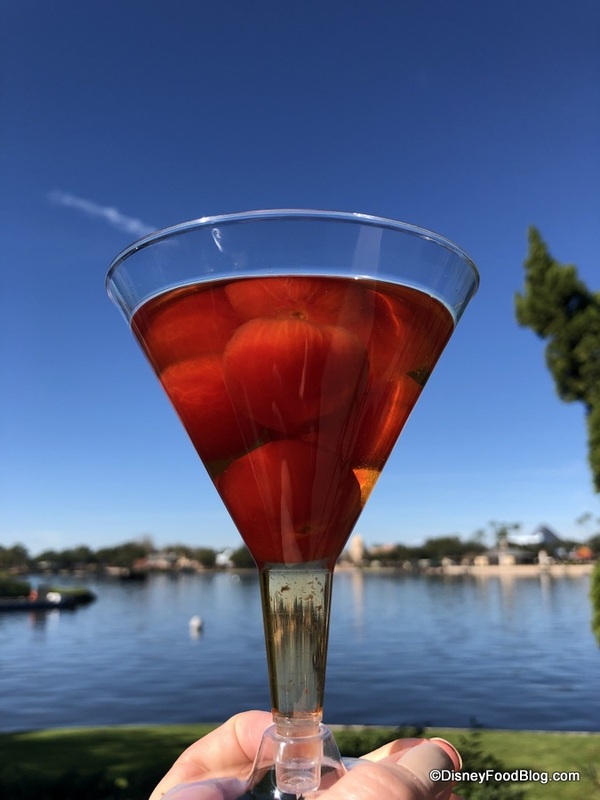 Plum Wine with Plum Infused Tomatoes?! Yep, it’s at The Painted Panda. Peeled cherry tomatoes are soaked in plum wine and then more plum wine was poured over them. One taste tester noted that it tasted like a red jolly rancher! Let us know what you think! 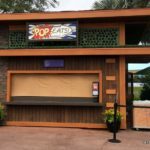 Find ALL the information for the Epcot Festival of the Arts here! 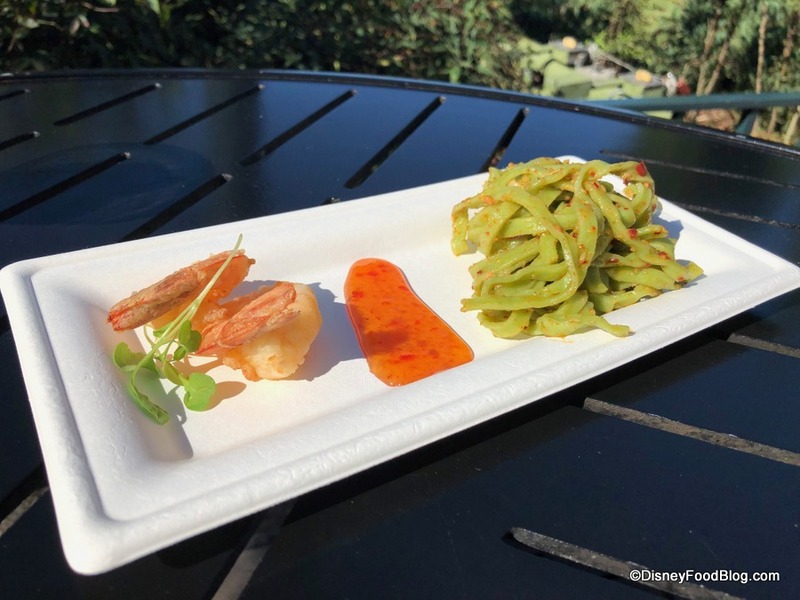 The Festival of the Arts continues to be a terrific seasonal event at Epcot, and we’re so excited it’s back for 2019! 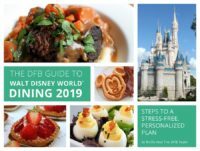 Find information on all of the special events — from the Disney on Broadway Concert Series to complimentary seminars and interactive workshops and SO much more — by visiting our Festival of the Arts page! 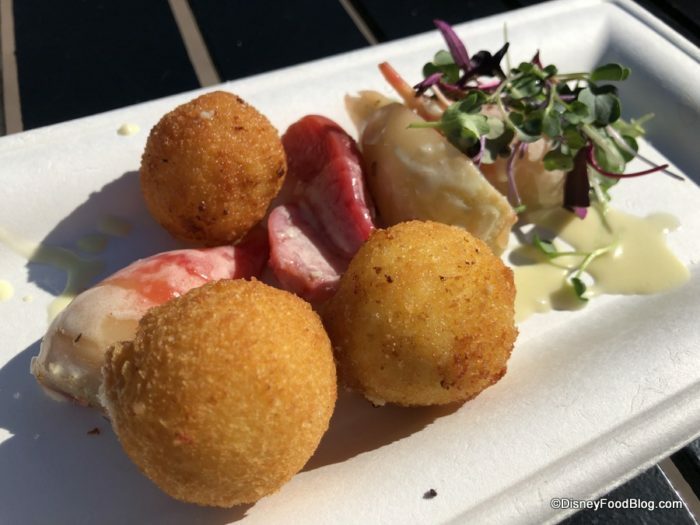 Are you attending the Epcot Festival of the Arts this year? Please let us know with a comment! 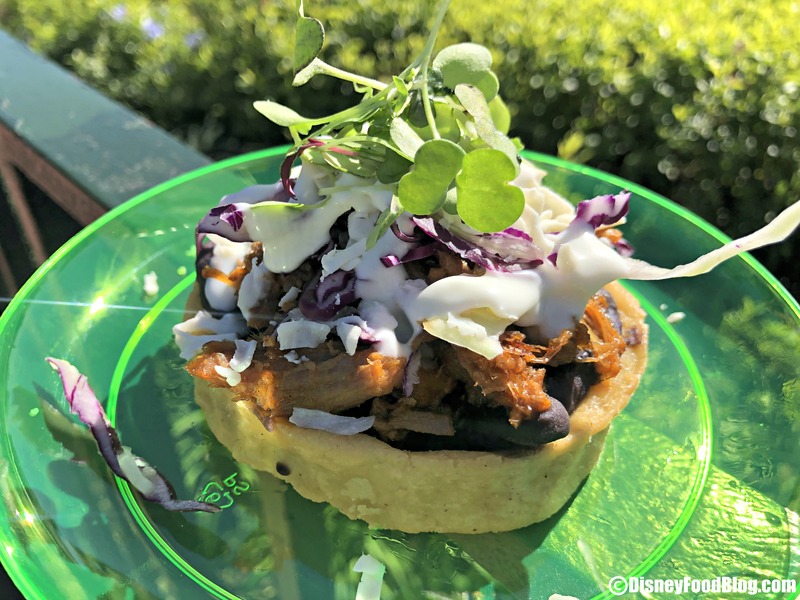 « Disneyland Review: Mickey Ears Cupcake at Whitewater Snacks for Get Your Ears On! Omgosh, the creamy brie looks good, but you really had me at the chocolate flight!!! 3 of the items I want to try are on your list: the Sushi Donut, Mushroom Risotto and Lemon and Blood Orange Tart! 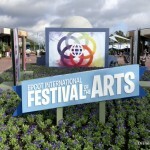 Can’t wait to get to Epcot for my first Festival of the Arts. Wow these photos are amazing as usual! Everything looks so good – can’t wait to go in February to try them all! Would you have a PDF with these Best of the Fest booths we can download? My husband and I enjoyed the Deconstructed BLT at the Deconstructed Dish as well as all of the savory dishes at The Painter’s Palate. 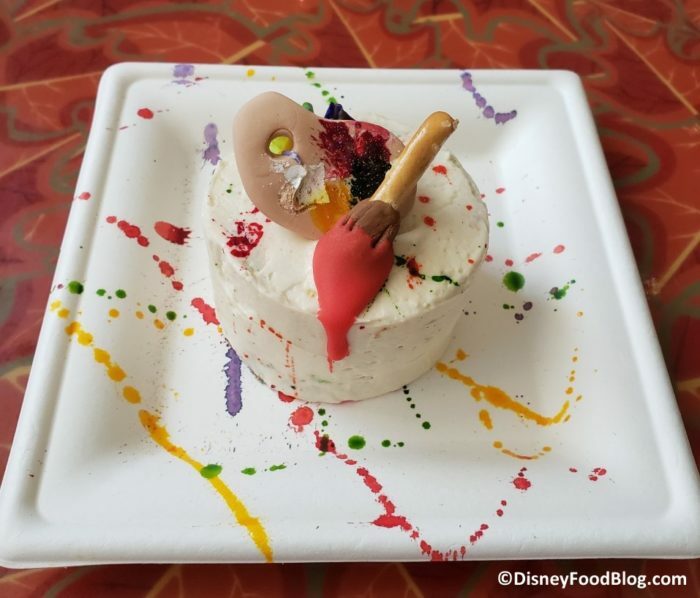 Our favorite item of the festival was the white chocolate and purple sweet potato mousse at Decadent Delights! Thank you so much for this review! We are going to WDW in February and can’t wait to try these items! 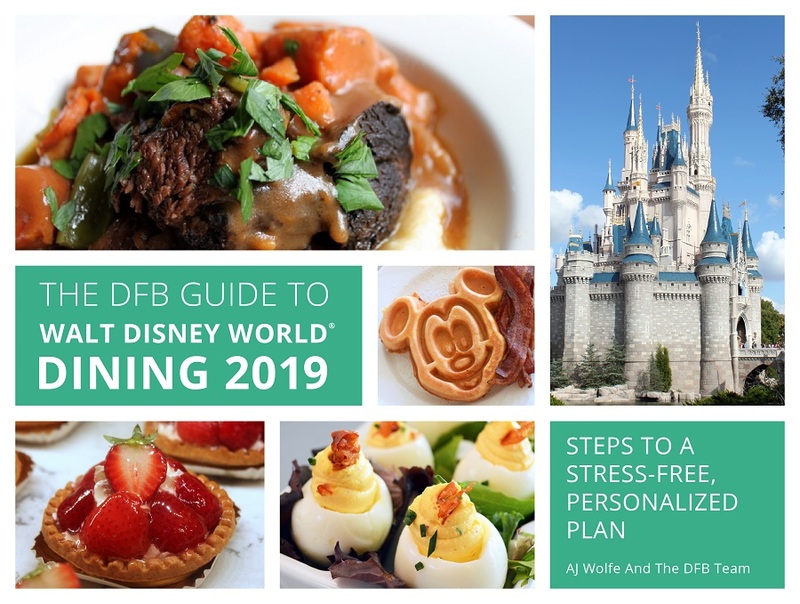 We have the 2019 DFB Guide, but were wondering if this information for the Best of the Fest is in a pdf? Thank you for all the information you guys get! We love DFB! Taryn, we are working on a Festival of the Arts PDF!